The GTViewer .NET Control for Windows version 9.0.0.39 is Available. - FIX - #7556 - DFN Font with Shape with Hole elements were not supported. - FIX - #7571 - The Name token in Feature Strings was not working correctly. GTViewer version 14.0.0.31 is available. Most of the updates here are with the Style Manager. - FIX - #7616 - The Point Label option in the Dynamic Graphics would not work when the point features was Text or used a True Type font. - FIX - #7612 - Raster Categories with raster file list files would error out on invalid files in the list. Changed to ignore them. - NEW - #7614 - Where Am I expressions can now use the following tokens: GTI_FILTERID, GTI_FILTERNAME, GTI_CATEGORYNAME, GTI_GIS_FEATURE_NUM, GTI_GIS_FEATURE_NAME, GTI_GIS_COMPONENT_NUM, GTI_GIS_COMPONENT_NUM. 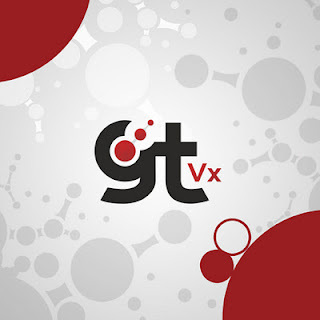 Version 14.0.0.14 of GTVx is available. - FIX - #7613 - Raster Categories with raster file list files would error out on invalid files in the list. Changed to ignore them. - FIX - #7617 - The Point Label option in the Dynamic Graphics would not work when the point features was Text or used a True Type font. - NEW - #7618 - Where Am I expressions can now use the following tokens: GTI_FILTERID, GTI_FILTERNAME, GTI_CATEGORYNAME, GTI_GIS_FEATURE_NUM, GTI_GIS_FEATURE_NAME, GTI_GIS_COMPONENT_NUM, GTI_GIS_COMPONENT_NUM.